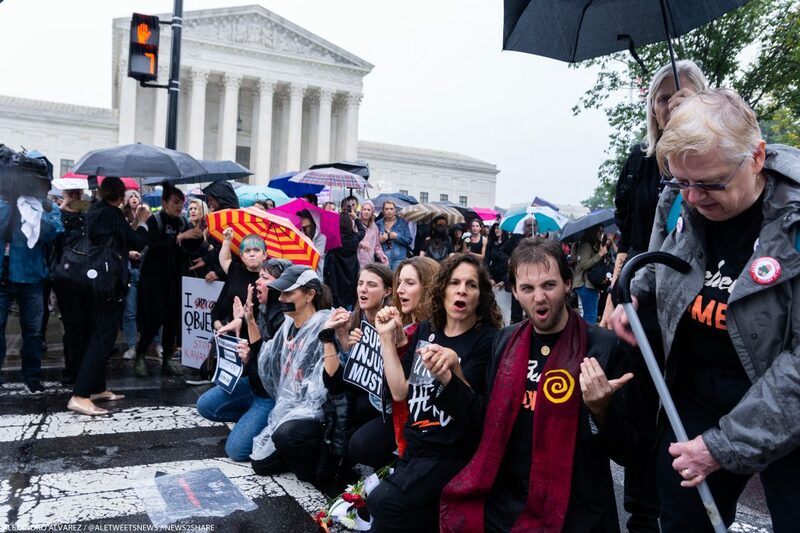 WASHINGTON — While history unfolded in the halls of Capitol Hill, dozens of people were arrested blocking a street during the height of a lengthy protest to support Dr. Christine Blasey Ford. 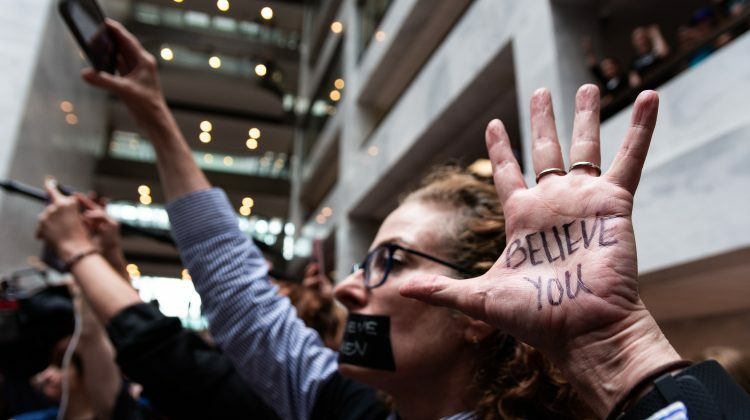 Dr. Ford, the first of at least four accusers who claim the embattled Supreme Court nominee sexually assaulted them, made her much-anticipated appearance in front of the Senate Judiciary Committee on Thursday. 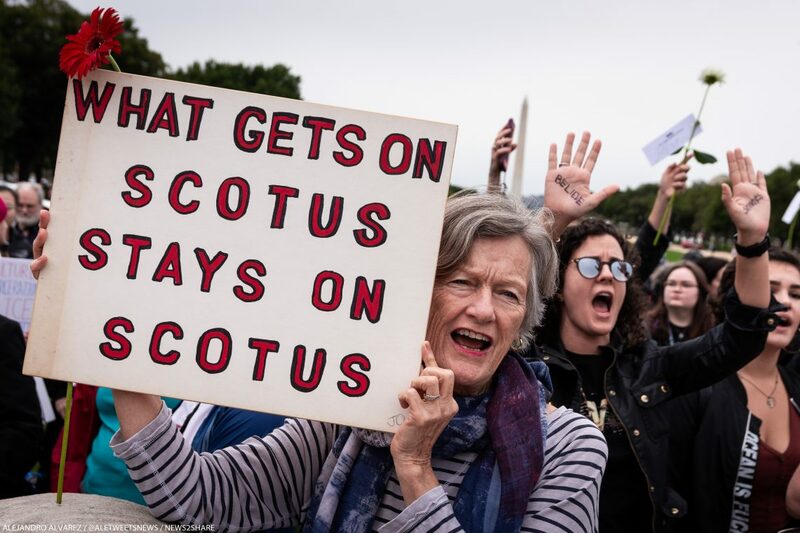 The hearing lasted for about nine hours — and outside, the marches went on almost just as long. 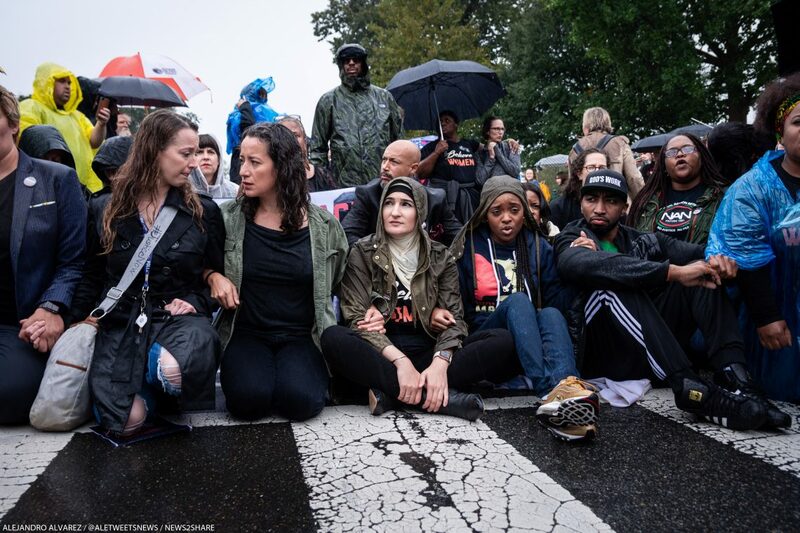 It’s the latest in days of Women’s March-led rallies, marches and arrest actions in D.C., seemingly growing in frequency and numbers with every new allegation unveiled by the media. 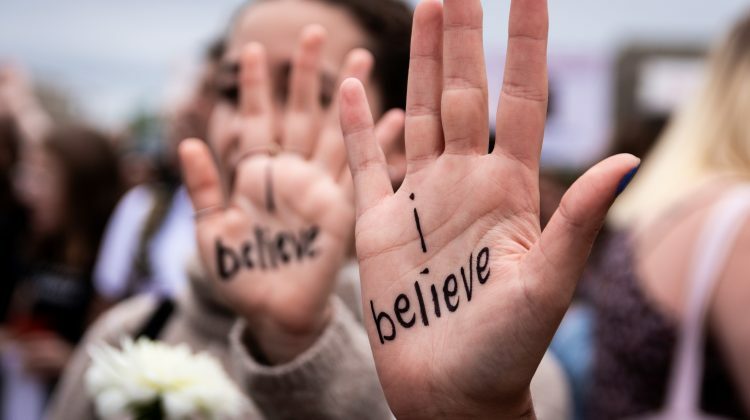 As Dr. Ford told her story, so did dozens of women joining the protests nearby. 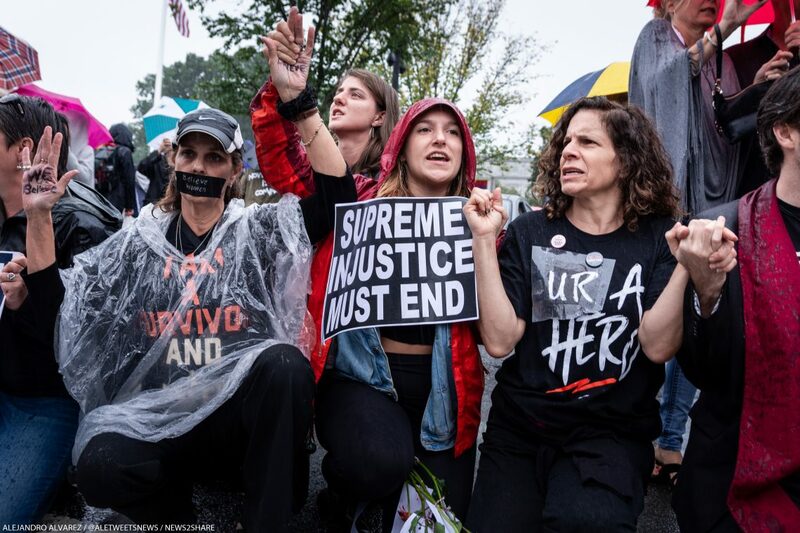 “A fight against Kavanaugh is a fight for the soul of our nation,” said one speaker to hundreds of women huddled on a soggy Thursday outside the Supreme Court, after she told the story of her own assault by a drunken colleague in graduate school five years ago. 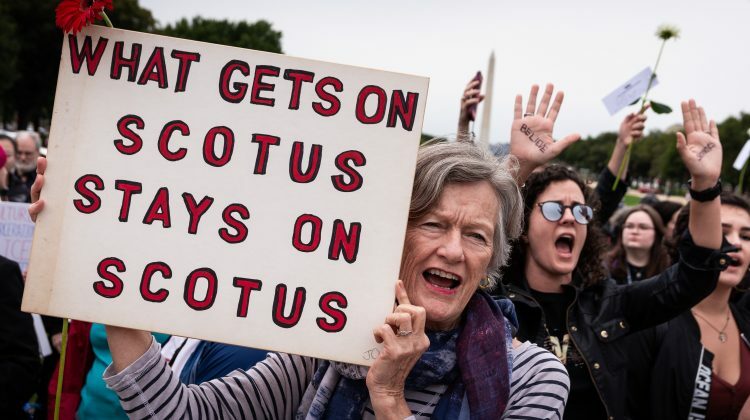 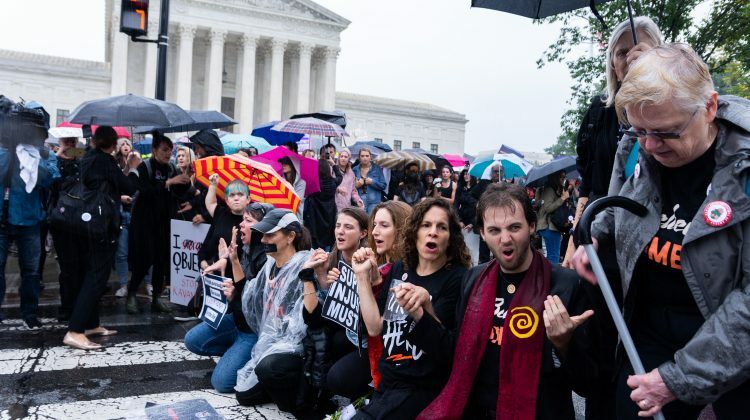 Hours of demonstrations featured different tactics aimed at stalling Kavanaugh’s confirmation process. 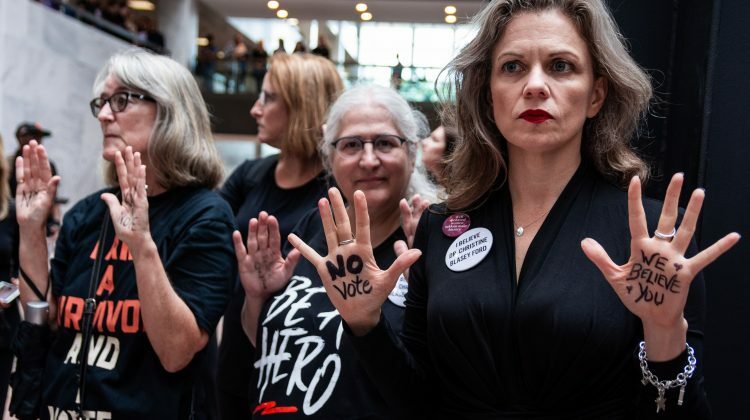 In the Dirksen Senate building, protesters clogged hallways and occupied elevators to keep Senate staffers from making it onto the second floor, where the hearing was taking place. 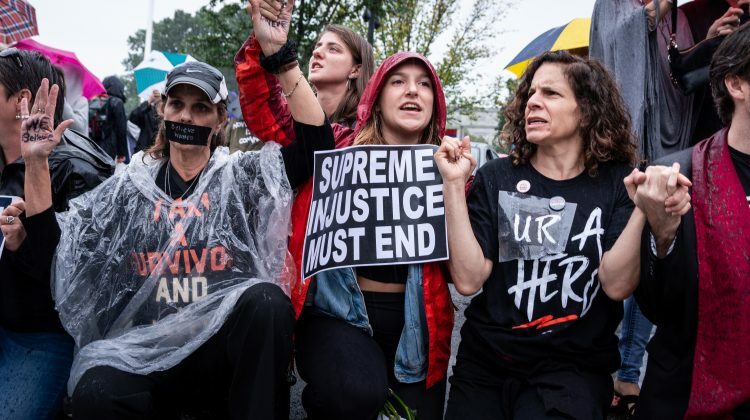 Hours later, about 50 protesters linked arms across First Street outside the Supreme Court, facing arrest as Kavanaugh stepped up to give his side of the story. 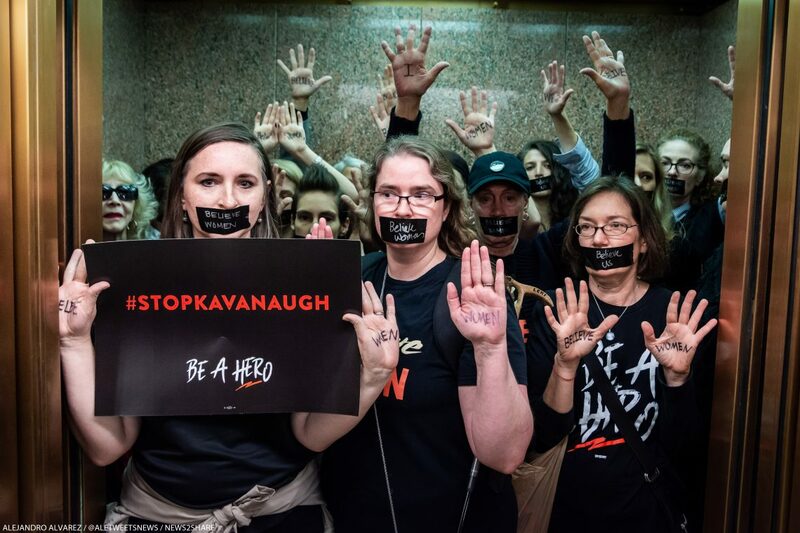 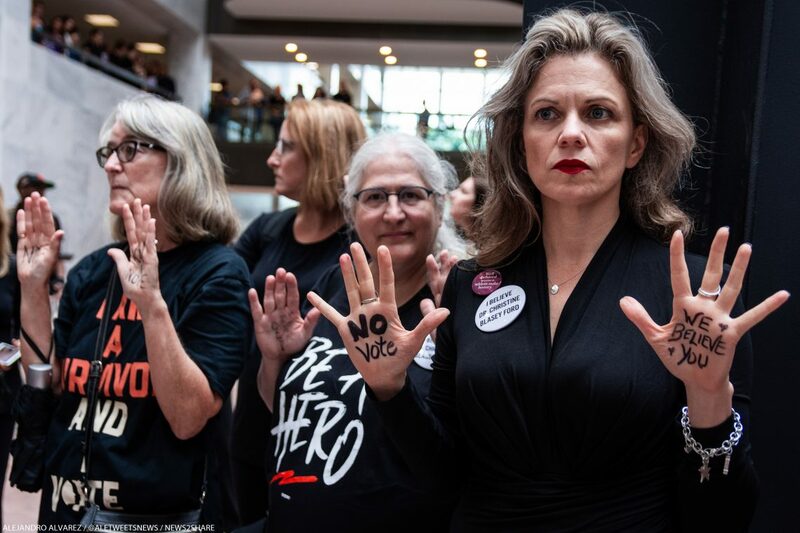 As Dr. Ford delivered her statement under oath, protesters dressed in nothing but black stood silently in the Hart Senate Office Building. 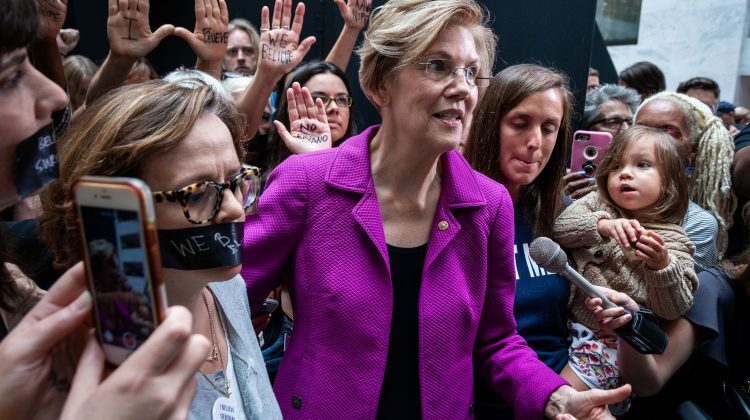 For all seventeen minutes of her opening statement, the only sound in the atrium were dozens of phones streaming C-SPAN radio simultaneously. 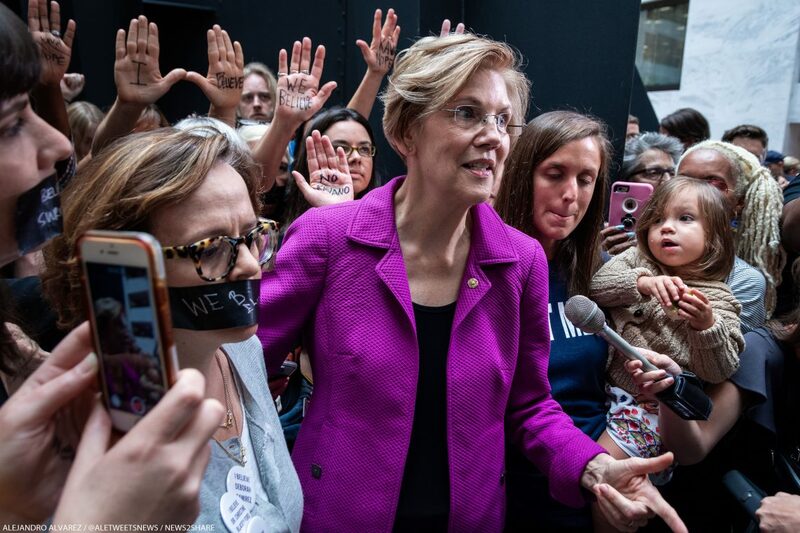 Senator Elizabeth Warren briefly joined the protest in Hart. 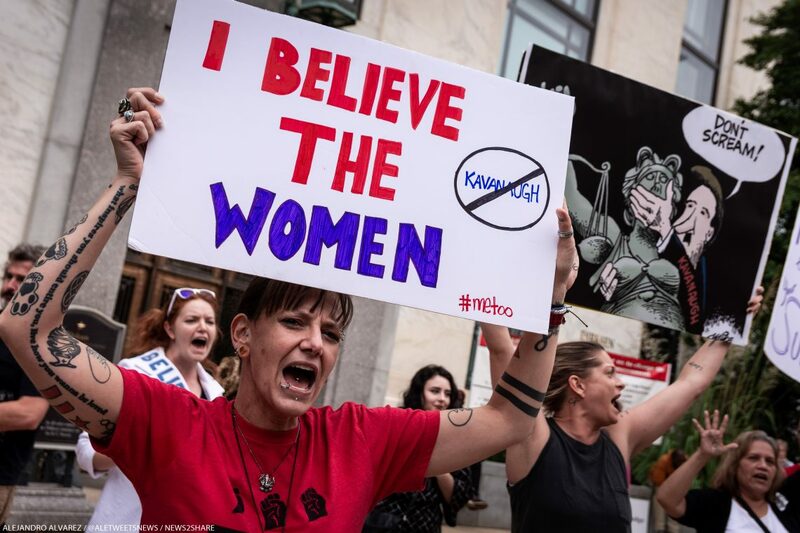 Speaking to media, she questioned why Kavanaugh would be so hesitant to support a full investigation if he had nothing to hide. 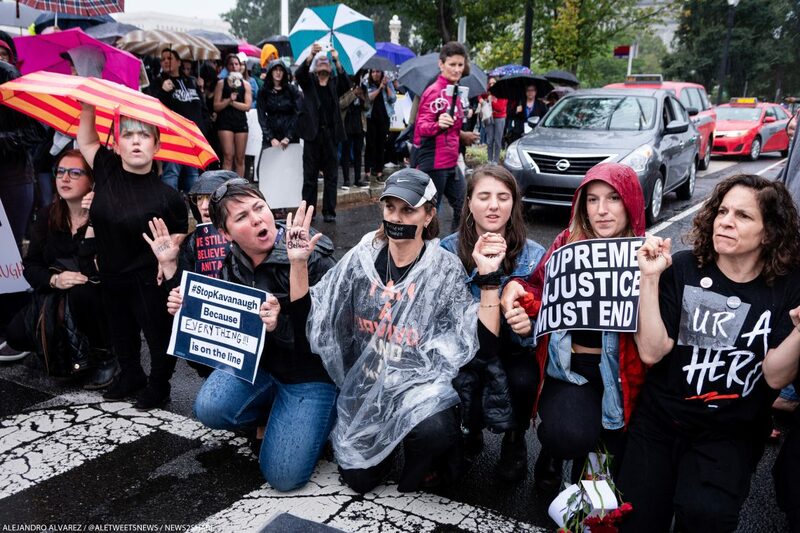 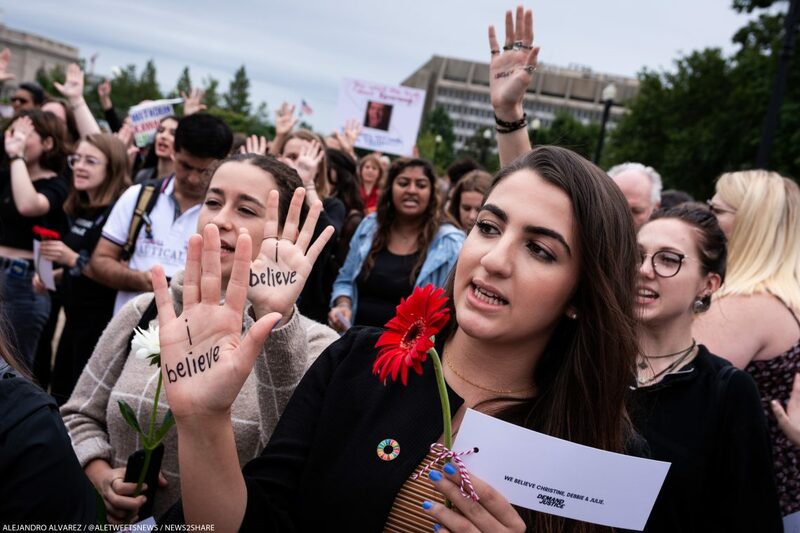 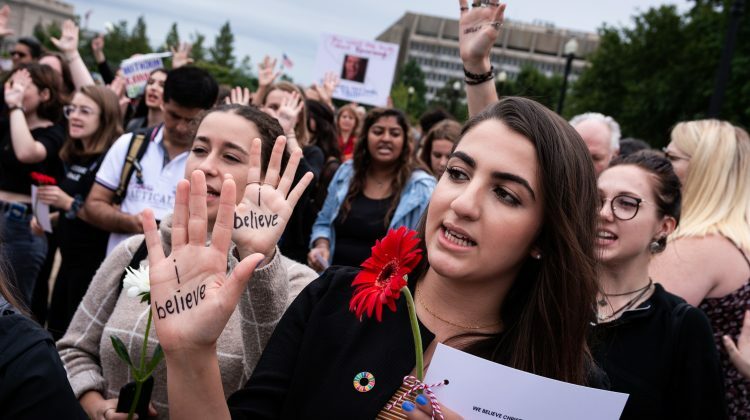 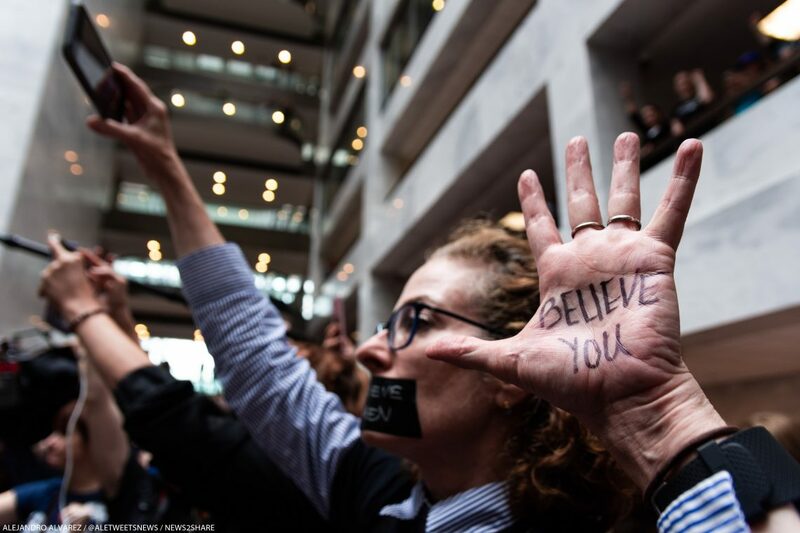 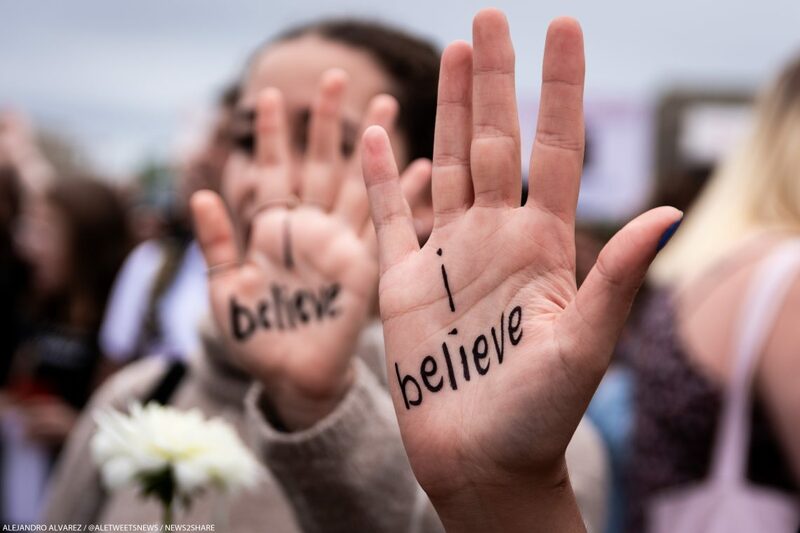 In addition to an act of solidarity in Dr. Ford’s favor, Thursday’s protests served as a platform for victims to communicate why perpetrators are seldom brought to justice — and why years can pass before allegations finally surface. 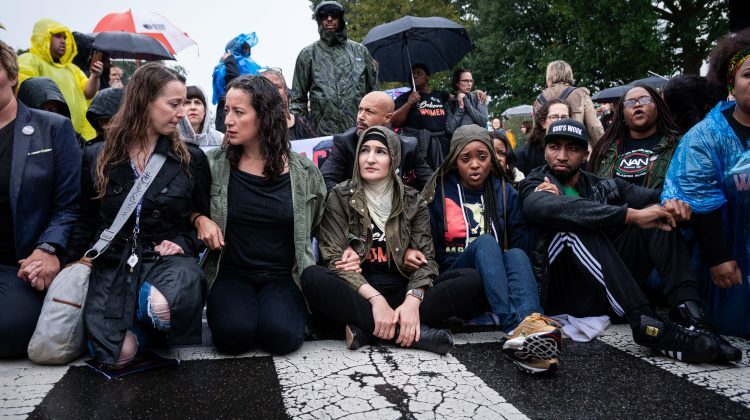 A common thread across the stories protesters shared involved struggling to speak up for years in fear of retaliation, judgment, or isolation. 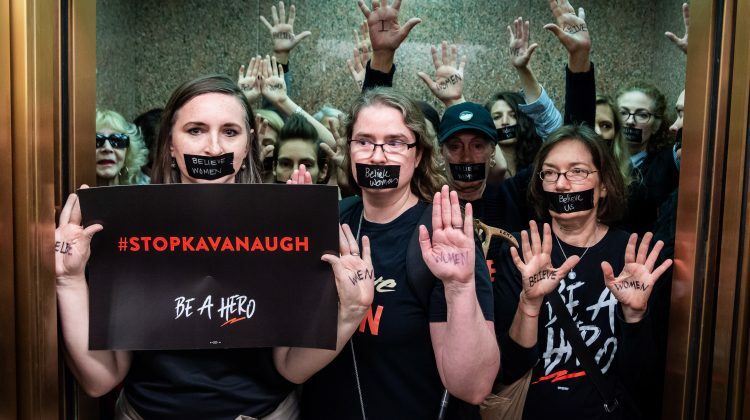 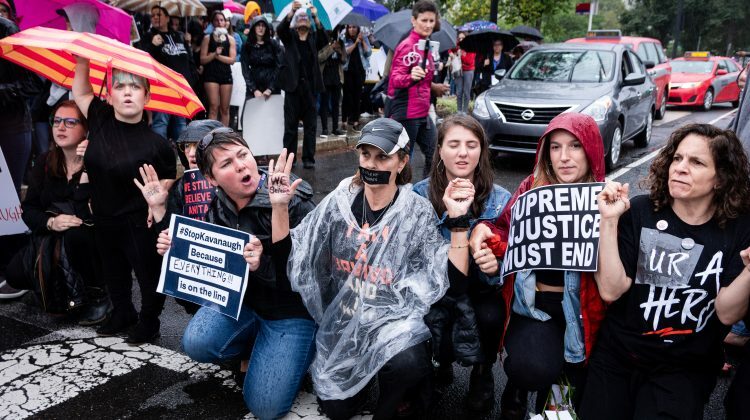 There weren’t only protesters against Kavanaugh on the Hill. 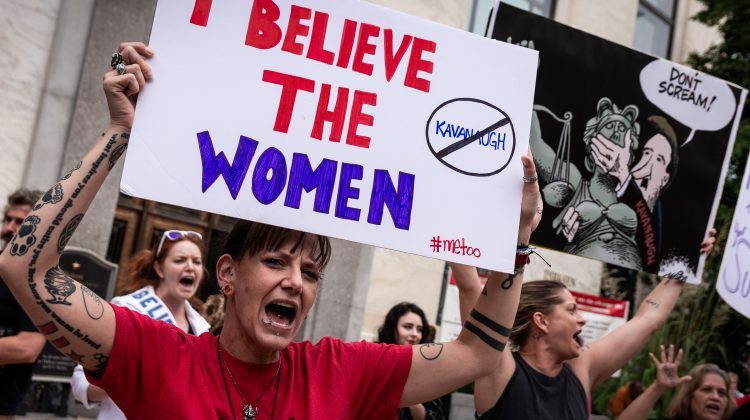 A smaller group of men and women shuttled into the area on the “Women for Kavanaugh” bus, run by Christian nonprofit group Concerned Women for America.